What is the Impossible Burger and why is everyone obsessed with it? A veggie burger that 'bleeds' is here — and it's 100 percent vegan. If it sizzles like a burger, and bleeds like a burger, it must be a burger. Right? Not necessarily. A new meat-free burger — known as the Impossible Burger — is converting even the biggest meat eaters on the planet. But what is the Impossible Burger, and should you try it? What is the Impossible Burger? Let’s face it: Even the tastiest of vegan burgers or veggie burgers don’t resemble — or taste like — an all-beef burger. The makers behind the Impossible Burger took that as a challenge and spent five years working to make a vegan burger that looks, smells and tastes like it came a cow. "For me, the primary motivation was the huge environmental impact [of meat-eating]," Dr. Pat Brown, a biochemist, told CNNMoney of his brainchild. "We want to save this wonderful planet for future generations, and it really is at critical risk due to — believe it or not — our use of animal and food production technologies." The product uses a "fraction of the Earth’s natural resources," Impossible Foods writes on its website. "Compared to cows, the Impossible Burger uses 95% less land, 74% less water, and creates 87% less greenhouse gas emissions." What is the Impossible Burger made with? 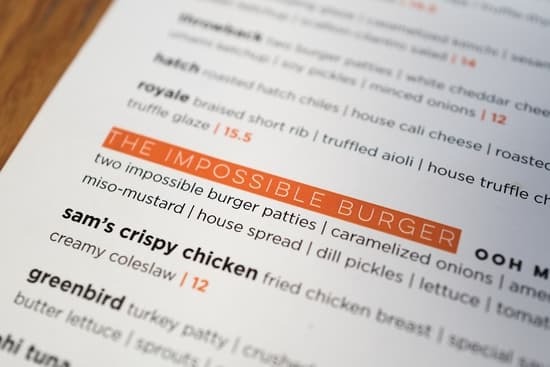 The biggest draw of the Impossible Burger is that it looks and tastes exactly like a beef burger, but the ingredient list is all plant based with textured wheat protein, coconut oil, potato protein, soy protein and Leghemoglobin (Soy). What is Leghemoglobin? It’s a plant that contains heme, the ingredient that gives Impossible Burgers their “bleeding” texture. It’s closely related to myoglobin, a protein that’s carried in animal muscle that carries blood throughout body. Plants also contain heme and is "atom-for-atom to the heme molecule found in meat," according to the company. "It’s what makes the Impossible Burger so rich and decadent." In other words, it’s what helps the plant-based burger look like it’s bleeding. The has been some controversy about Leghemoglobin and it’s safety. People haven’t consumed Leghemoglobin before the Impossible Burger, so there’s no evidence to show what the long-term effects of eating it are — or if it’ll cause potentially serious food allergies. Also, the Leghemoglobin used in Impossible Burgers isn’t taken directly from soy plants. Instead, the company found a method to produce it in yeast cells — a process some are calling genetic engineering. So, is Leghemoglobin a GMO? "Nope," writes Patrick Clinton in The New Food Economy. "It’s not an organism at all. It’s a protein produced by genetically modified yeast cells... For what it’s worth, let’s not forget that modified cells — yeast, E. Coli, Chinese hamster ovary cells, and even human cancer cells — have been used for decades to produce dozens of drugs that couldn’t be manufactured any other way using current technology." What is the Impossible Burger consensus? Controversy aside, people are enjoying — and even loving — the Impossible Burger. Men’s Health called the Impossible Burger "a highly acceptable, tasty alternative to the real thing," but "somewhat drier and less adventurous." And it’s a hit on social media. "This was so weird, in a great way! It looks and tastes just like a real burger, but it is a vegan patty. I am not a veggie lover in any sense, but this was so good," one Twitter user wrote. "[The] impossible burger is so amazingly good I spent 5 full minutes dissecting it to make sure it was truly plant based lol 10/10 recommend wow," added another. Want to try the Impossible Burger for yourself? 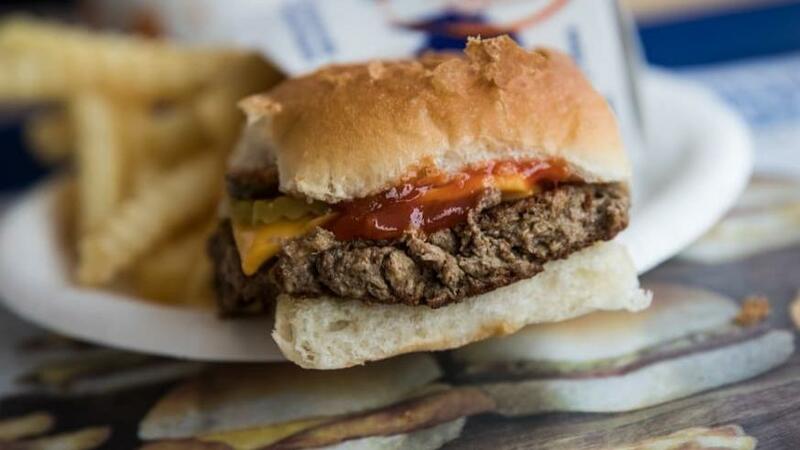 You can find a list of locations on their website — and White Castle is now offering a slider made with the Impossible Burger. Lifestyle - U.S. Daily News: What is the Impossible Burger and why is everyone obsessed with it?